Jasper specialises in helping people in business become more effective in their communication whilst maximising their use of effort and time. 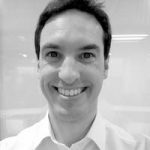 Previously responsible for projects in banking and financial services, Jasper is familiar with how to get things done in complex organisations and team environments. In addition he is a successful coach working with athletes and sports people to hone their skills to be the best that they can be. Jasper’s objective is to help identify the things that slow people down and explore, share and adapt the resources that can speed up success. to excel in their career.